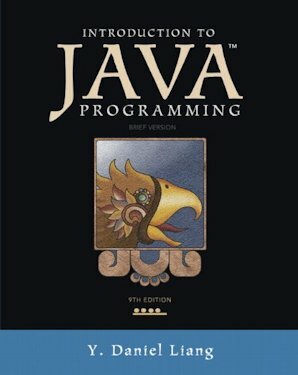 You may be just getting started with Java after thoroughly learning some other computer language, or you make just be starting from scratch. Here are some hints to help you come up to speed as quickly as possible. 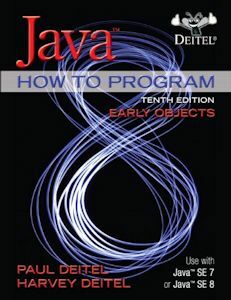 I think you should learn the various Java technologies is this order: applications, FileIO, AWT (Advanced Windowing Toolkit), Applets, Swing, Collections, Enumerations, Generics, Java Web Start, Threads, SQL/JDBC, Servlets, MIDP (Mobile Information Device Profile). Save XML (extensible Markup Language), Java EE (Enterprise Edition), JSP (Java Server Pages), Hibernate… for later. How do you get started in java? here are the suggested steps. Download and install the JDK. Use regedit to check that the registry entries at My Computer\HKEY_LOCAL_MACHINE\SOFTWARE\Javasoft look plausible. They can get screwed up if you uninstall or install more than one Java run time. Print yourself a copy of the Java Cheat Sheet. Collect all the Documentation that is absolutely essential. Write the HelloWorld application and get it going. HelloWorld, javac.exe, java.exe, and CLASSPATH. 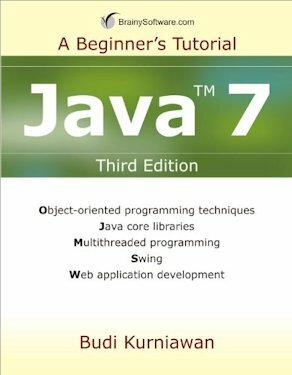 tutorials and read up on how to write Java code. At least peruse the FAQs — the FAQ (Frequently Asked Questions). FAQ is often a misnomer. These things are usually littered with esoterica and answers to questions no one ever asked, all without any sense of priority or categorisation. The Java glossary you are now reading is a type of FAQ, organised as a glossary. the gotchas section of the Java & Internet Glossary to warn you about the common pitfalls. Even if you just skim it now, it will save you months of frustration because when you hit a gotcha, in the back of your mind you will remember it and you can go back to read up on the details. the error messages section of the Java & Internet Glossary to explain what the various compiler and run time error messages separate page for compile time error messages and for the run time error messages. Bone up how you are expected to behave in newsgroups. 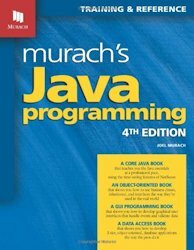 Post your beginner questions to comp.lang.java.help. Do not cross post them to the more advanced topics such as comp.lang.java.machine and comp.lang.java.programmer. Before you post, check the Java & Internet Glossary and the Java FAQs FAQ. People will be quite rude if you ask a question already answered in one of the FAQs (Frequently Asked Questionses). They have not the time to wade through material covered a hundred times before. Personal Bookshelf. 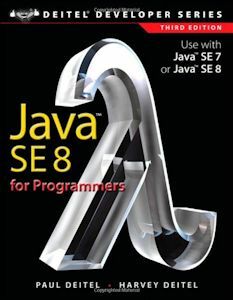 It will point you to places you can read text books free online, particularly Thinking in Java . 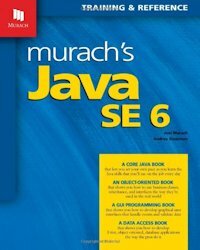 Visit a computer bookstore and pick yourself a fat textbook on Java that tackles problems of interest to you at an appropriate difficulty level. It is better to browse in a real bookstore that to buy online. See book stores to buy books online and the bookstore comparison shoppers to find out where you can get the books you want most cheaply. Check out IDE to consider an Integrated Development Environment, particularly a source debugger and class browser. Study other people’s source code, e.g. mine. Make simple modifications to the programs. Make progressively more drastic modifications until you understand how the programs work. Then you can write your own. Try peppering them with System.out. println or use your IDE (Integrated Development Environment) ’s debugger to trace them to help understand what they are up to. 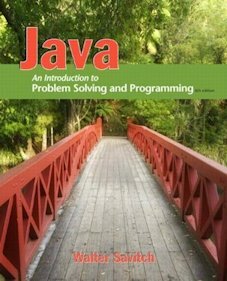 Check out collections of source code to see how other people solve various Java problems. To learn how to interconvert the basic Java types play with the Conversion Amanuensis. Doing the I/O with the Java conversion classes is a bit like memorising the irregular French verbs. You need a tutor — the Amanuensis. This includes converting back and forth between numeric Strings and internal binary formats. To learn the Byzantine Java I/O classes, play with the File IO Amanuensis asking it to generate you source code for all manner of combinations of data and file type. Doing I/O with the Java classes is a bit like constructing a car out of Lego blocks. You need the Amanuensis to show you the ropes. Read the binary formats, endian, println formats and primitives entries. Just reading will get you nowhere. You have to read, then apply what you read, alternating read then do. Give yourself a real project that has some emotional appeal for you. If you can’t think of anything, the list of student projects. Read How To Write Unmaintainable Code and carefully avoid following its advice. Check out the Newbie essay to see if you are falling into the common bad habits most newbies pick up. Check out the section on dealing with tough homework problems. It is useful for tackling tough problems generally. To deal with feelings of panic and overwhelm, read the tharn entry. I have written all kinds of Java applications and Applets with free source you can look at. Pick one that interests you. Download the source, study it, then start playing with it, making simple modifications, e.g. changing colours and fonts, changing the text labels. Then work up to more major changes, adding buttons, changing the layout… You almost never write an application completely from scratch. You find something vaguely similar and step by step hammer it into the new shape. The advantage you have something working to play with at each stage. In these early experiments, you don’t need to plan ahead. Imagine you are potter edging your metaphorical electronic clay a little closer at a time to what you want. Write some Java Web Start applications. Tackle SQL (Standard Query Language)/JDBC (Java Data Base Connectivity). Tackle MIDP (cellphones and handhelds). Tackle a Servlet framework such as JSP. Tackle JCE (Java Cryptography Extension) encryption. If you have Google Desktop installed and if you are reading a local mirror copy of my website provided via the Replicator, you can do a Google desktop search with: filetype:html "recommend book", (note the exact-search quotes) and Google Desktop will find you my book referrals sprinkled throughout the mindprod.com site, about whatever other search criteria you add. Note the spelling of recommend — one c, two ms, not reccommend or recomend or reccommend. You have to spell it exactly in the form of a command: "recommend book", not "recommend books" or "recommended book" or "recommend a book". This feature will also kick in later using an ordinary web browser Google.com site search with site:mindprod.com "recommend book" for people who browse the ordinary way, when Google next indexes the mindprod.com website. Incidentally, Google Desktop will let you find anything else on the mindprod.com website with indexes that are only seconds out of date. You can similarly find my DVD (Digital Video Disc) recommendations with filetype:html "recommend DVD" in Google Desktop and site:mindprod.com "recommend book" in an ordinary web browser Google site search. You can also use Google Books to search for books and browse them online to various degrees. You can also use or Copernic, which I find generally faster and more reliable that Google Desktop. Just search for recommend book without quotes. You might optionally set the filetype to html to narrow the search. Don’t buy a book just because others, even me, said it was good. Read as much of it as you can before you buy to make sure it is not too basic or too advanced. A book utterly the best for others, may be too advanced for you, for now. It won’t get any more comprehensible once you take it home and it will just languish on the shelf. fluff, material you can get elsewhere such as the Javadoc for Swing. stuff that is too obvious. stuff obviously way over your head. It should be a stretch, but not a leap. Lots of example code, especially complete programs you can run and tinker with. Sometimes they come on a CD (Compact Disc). a good index. Try looking up a few things of current interest. Evidence the author has actually used the classes he writes about, e.g. gotchas, warnings of things that don’t work the way you would expect or bugs, or tips on the best ways to combine the tools. I like O’Reilly books. They tend to be deep, narrowly focused on a specific topic, slim and accurate. I am not impressed by the fat fluffy books from Que. One of my brick and mortar bookstore tests for a book is to read the first few and the last few pages. The first few pages should assume only things I already know, and be easy to read. The last few pages should assume significantly more knowledge than I have and be somewhere between difficult and impossible to read. This test eliminates both books that are completely beyond me and books that teach nothing I don’t already know. Aimed at someone who already knows C++. This is not a fluffy introductory book. 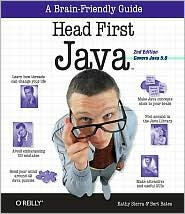 This is book for experienced programmers to learn all of Java including JDK 1.8. It works primarily with code examples. This is an extremely expensive paperback. You normally only see paperbacks this costly aimed at a tiny academic market. It contains source for hundreds of complete working programs. This is my complaint with most books. They tend to show you just snippets leaving you at a loss with what sort of sandwich they need to make them work. The course MyProgramming lab is extra! Liang is a university professor, so this is written (and priced) as a university first year level text book. 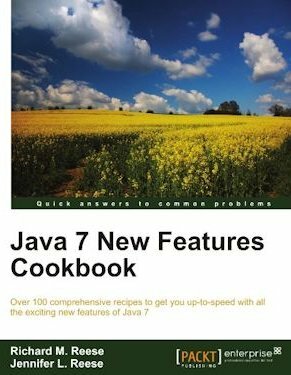 It covers the new features of Java 1.7. Covers all of Java, not just the new features in Java 1.7. Good for beginners to computer programming. Khalid A. Mughal is a professor at the University of Bergen in Norway. 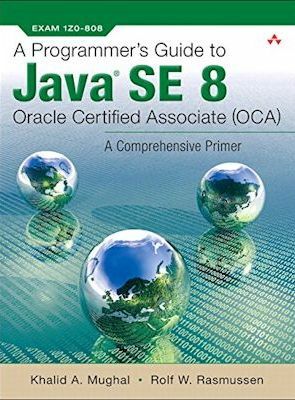 This book is to help you pass the SCJP Oracle Certified Programmer for Java 1.8 exam, but it is also useful for gaining a deeper understanding of Java. Mughal has a terse clear way of writing. Khalid A. Mughal is a professor at the University of Bergen in Norway. 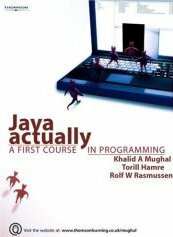 This is book suitable for a first course in computer science that presumes no prior knowledge, but a bright mind. Mughal has a terse clear way of writing. If you already know other languages and don’t want a fluffy beginner’s book this may be for you. 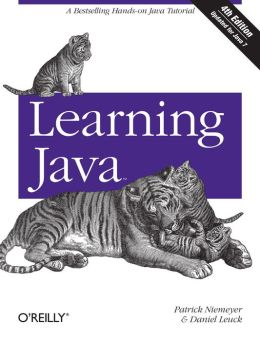 It concisely and completely covers Java in 100 pages. A beginners’ book that not only has the depth it’s also an entertaining and thought-provoking read. If you have no computer programming experience at all, this is the best starting place. This is a book that teaches with examples. You don’t have to fully understand them to use the code. It covers only up to JDK 1.5. 1250 pages. Also has some simple RMI examples. This is a great doorstop of a book. 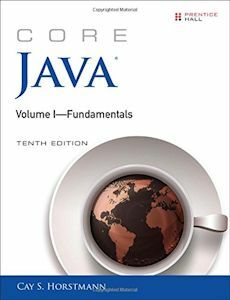 It has a few chapters on client-server programming in Java and a section of that is on CGI. 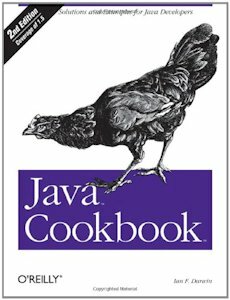 I have looked at hundreds of Java books and found nothing that deals in depth with client side Java talking to CGI, except Marty’s book. It is really very simple and he does an excellent job of explaining it. Marty has posted all the source code examples from the book for anyone to use. These contain updates and errata fixes you don’t get on the CD-ROM that comes with the book.